There’s been a ton of talk lately about the flattening yield curve. I don’t really have anything insightful to add to the conversation, but I do want to share some of the best charts I’ve seen on the topic. 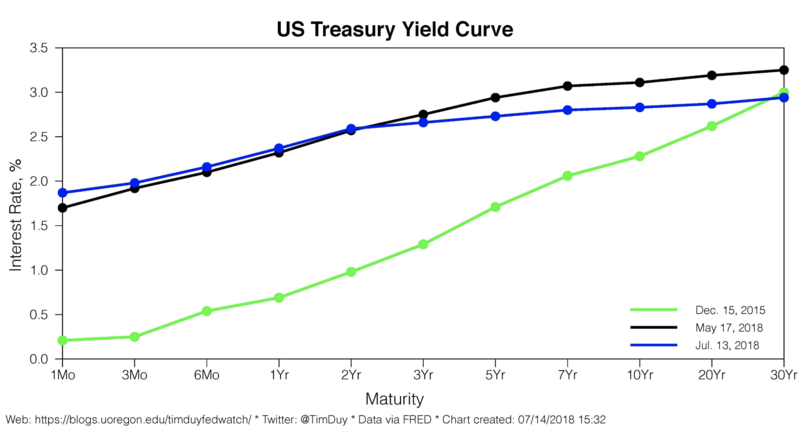 First, why is the curve inverting, via Tim Duy. Charlie Bilello has done some great work on this topic. 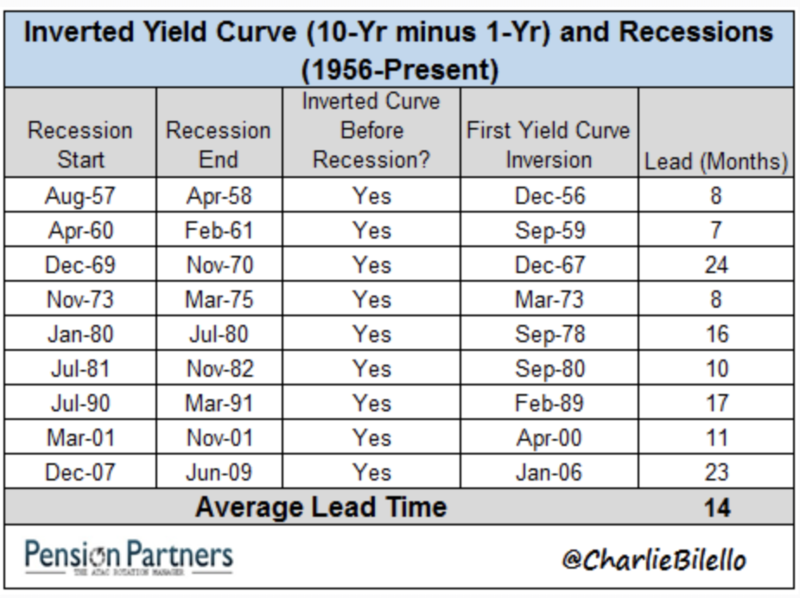 Each of the last nine yield curve inversions were followed by a recession. However, the lead time was anywhere from 8 to 24 months, with an average of 14 months. This time, like all other times, is a little bit different. What makes today unique is where the fed funds rate could be at inversion. The average during the last nine inversions was 6.16%. Today, while not yet inverted, we’re at 2%. The economy is not the stock market, so how much information can we get about the stocks from an inverted yield curve? 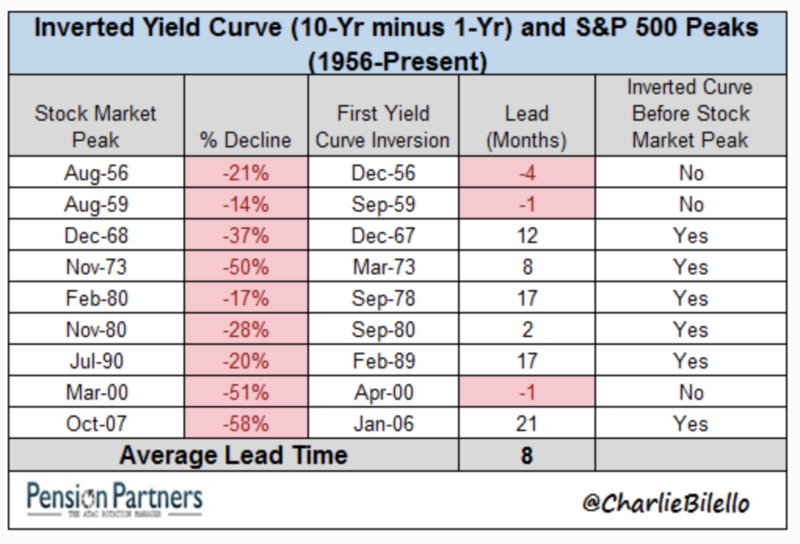 Again, here’s a table from Charlie which shows that while an inverted curve has meant trouble for the economy and for stocks, there was an average of 8 months time between the inversion and the stock market peak. Finally, this chart from @oddstats shows the next 500 days for stocks when the yield curve was flattening to where it is today. You can see that stocks have performed rather well over the next two years. ARE YOU OR SOMEONE YOU KNOW BE BULLIED INTO BELIEVING THE YIELD CURVE IS CURRENTLY BEARISH FOR $SPX? Here's the next 500 trading days on $SPX for the other 5x the 10y/2y yield curve was descending and at the same point as last night. Mandelbrot once said, “The trend has vanished, killed by its very discovery.” I wonder if the availability of data like this changes its very nature. I guess we’ll find out if the yield curve does invert. An inversion of the yield curve does have a pretty strong track record, but I’m skeptical of iron rules in finance. Josh and I spoke about the yield curve and some other things today on What Are Your Thoughts?